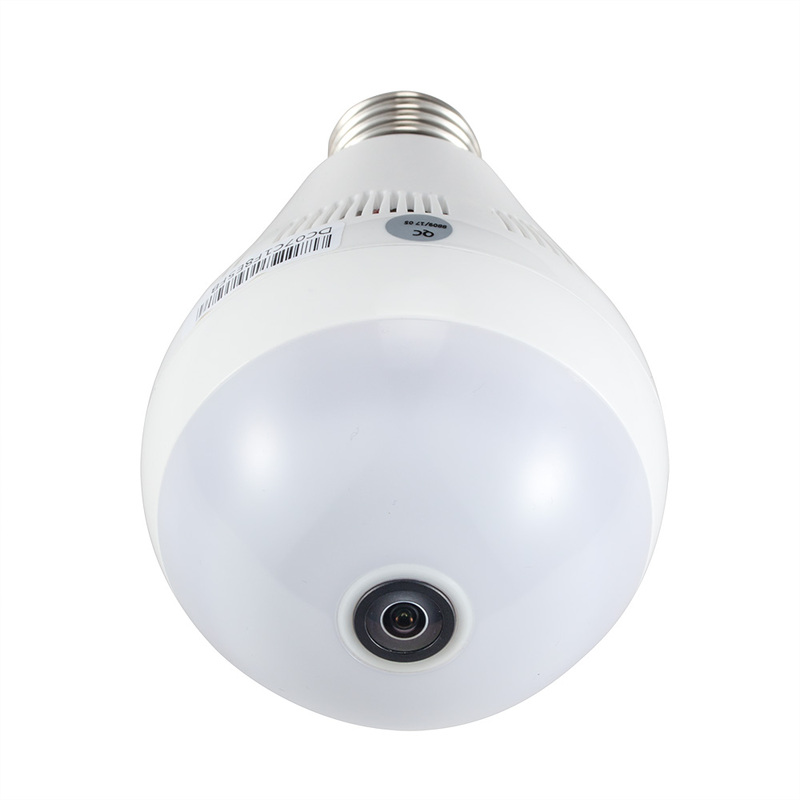 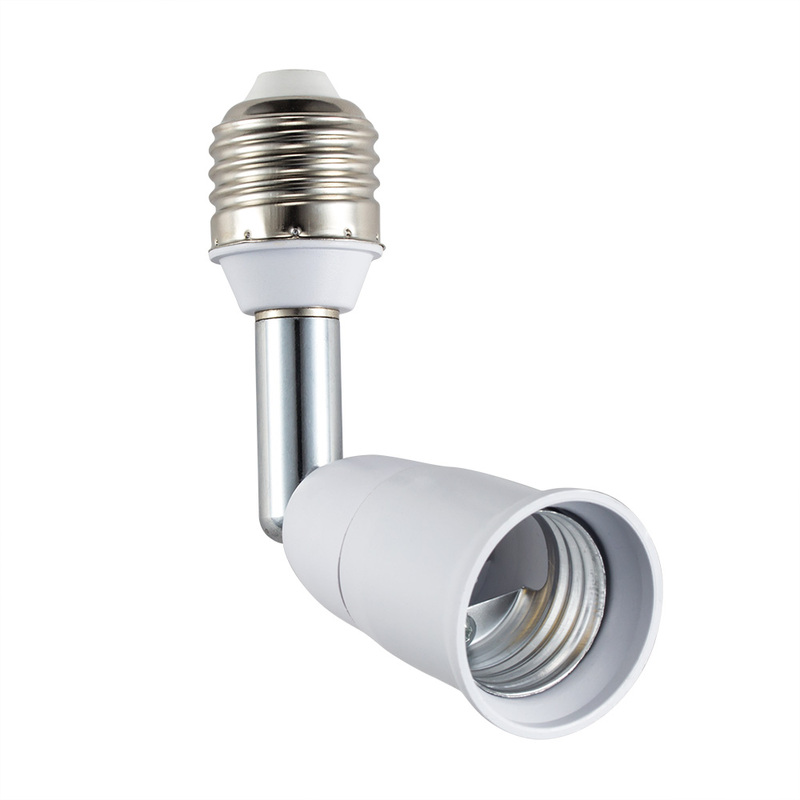 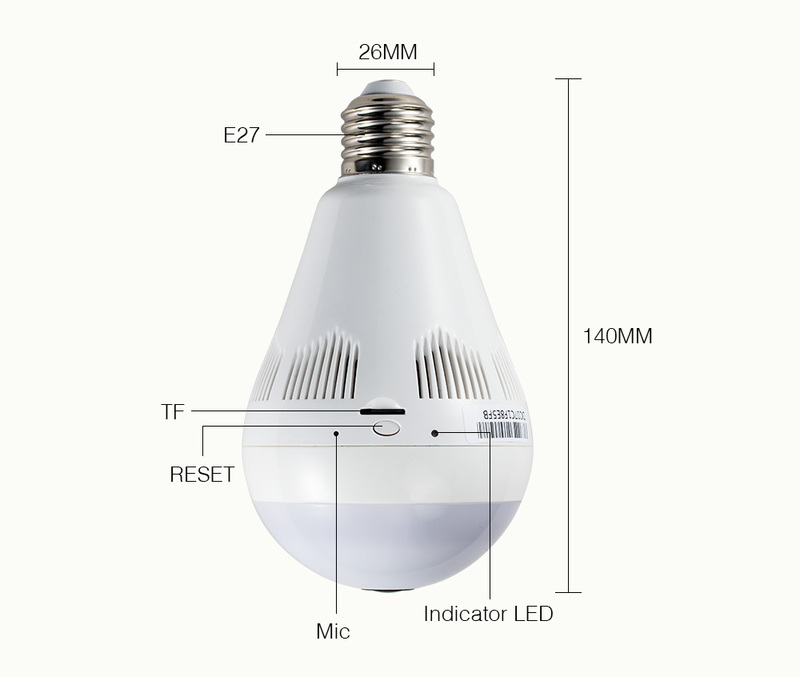 360-degree full-angle monitoring, let off any one corner. 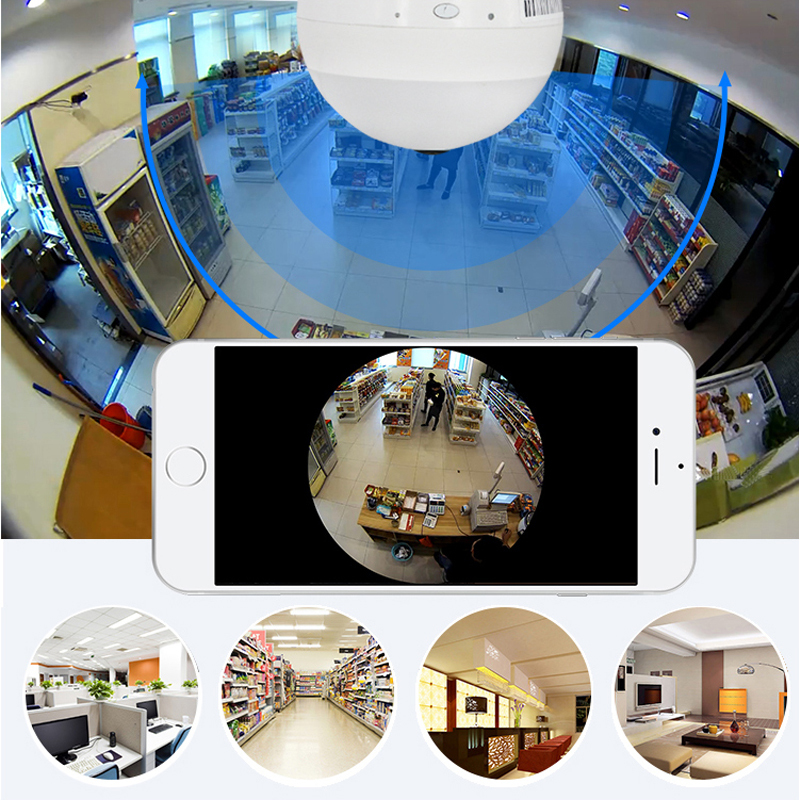 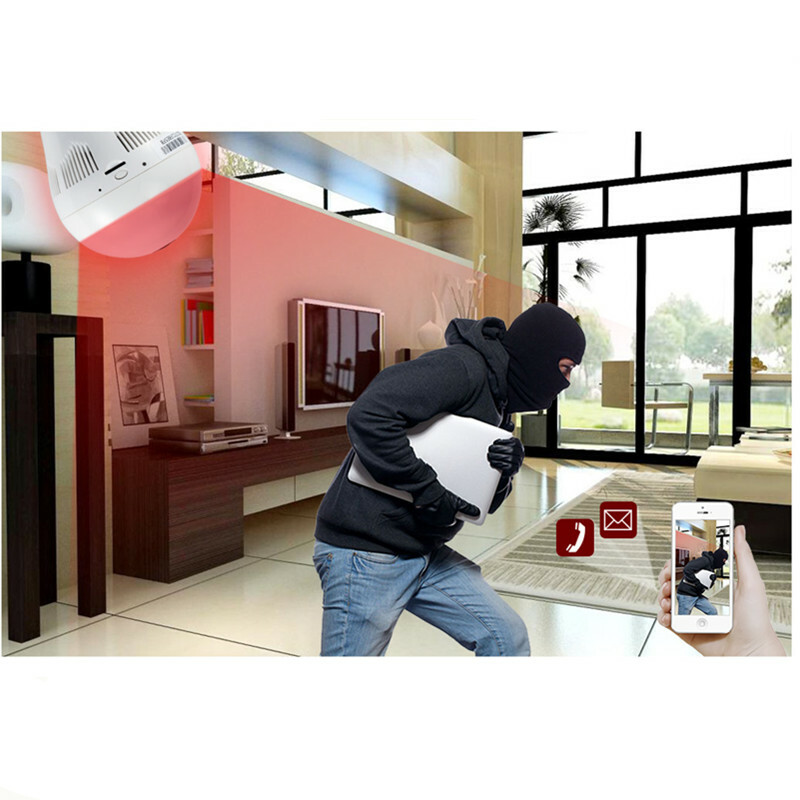 Motion Detect:Any motions will be detect,and then it will upload to your phone’s APP. 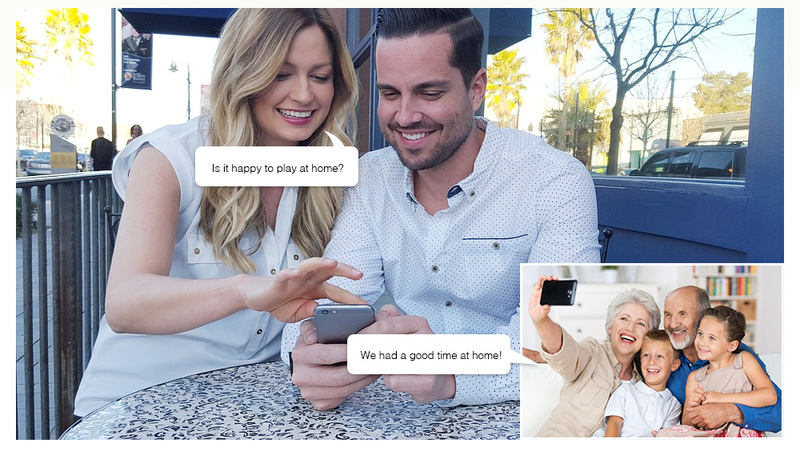 Two-way audio:You can communicate with your families wherever you are. 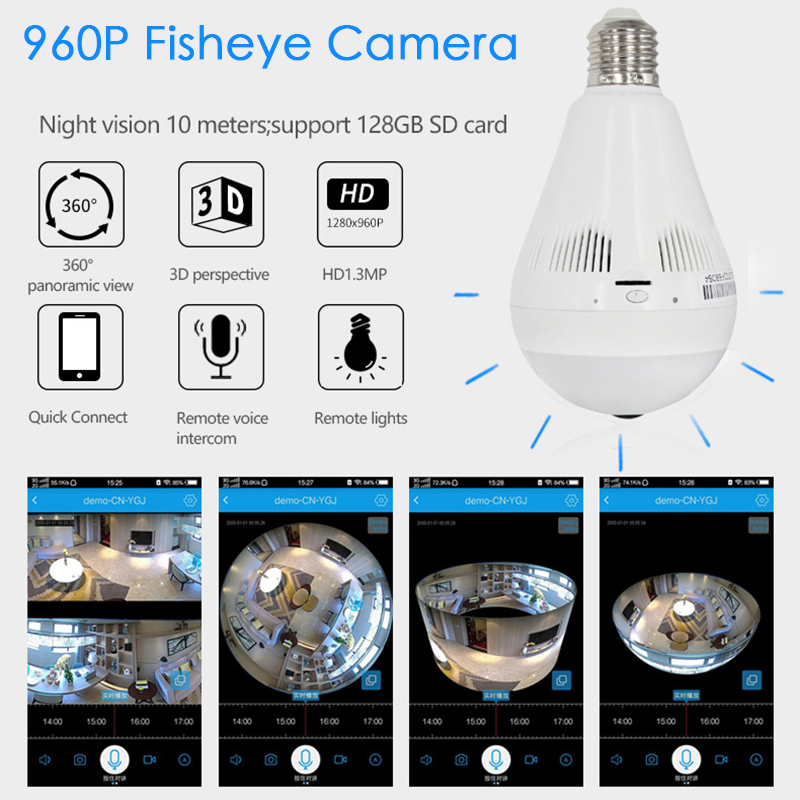 Feature	1,This camera has fisheye lens. 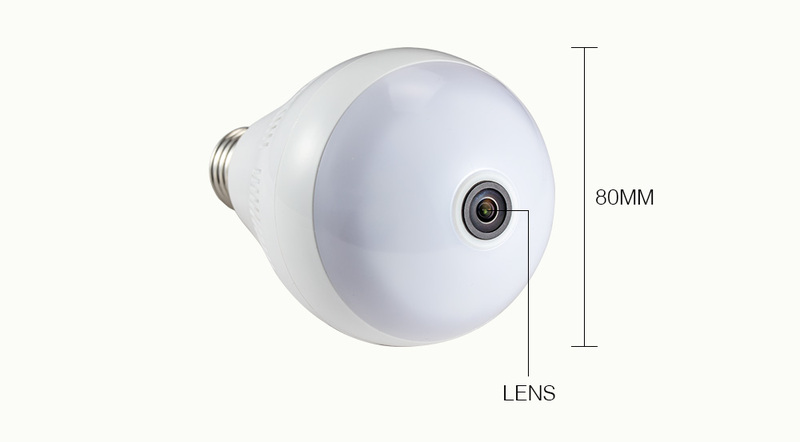 2,This camera provide Two-way audio function .and support 128Gb MAX to record . 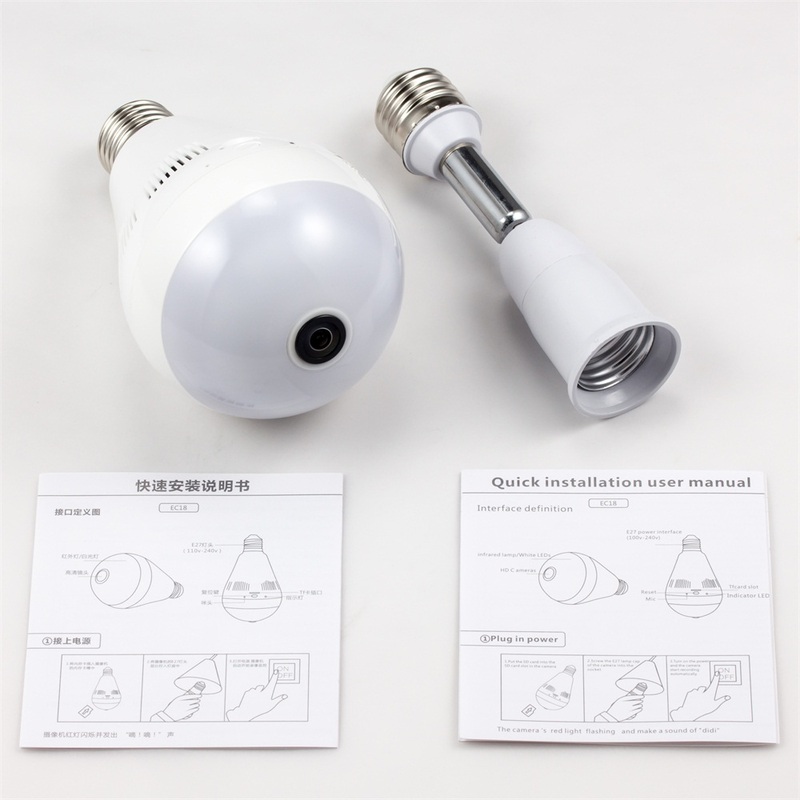 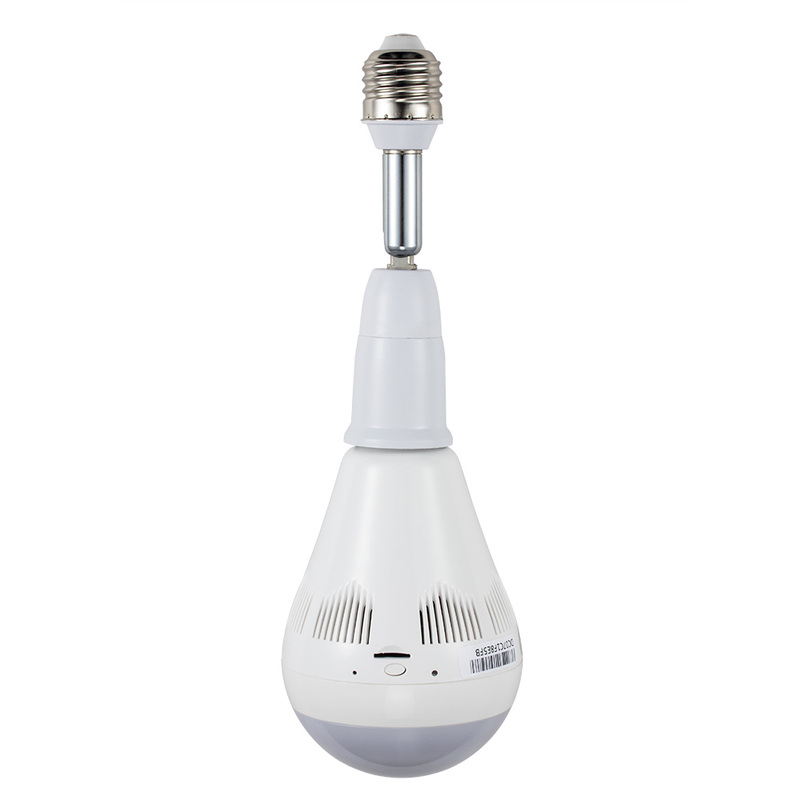 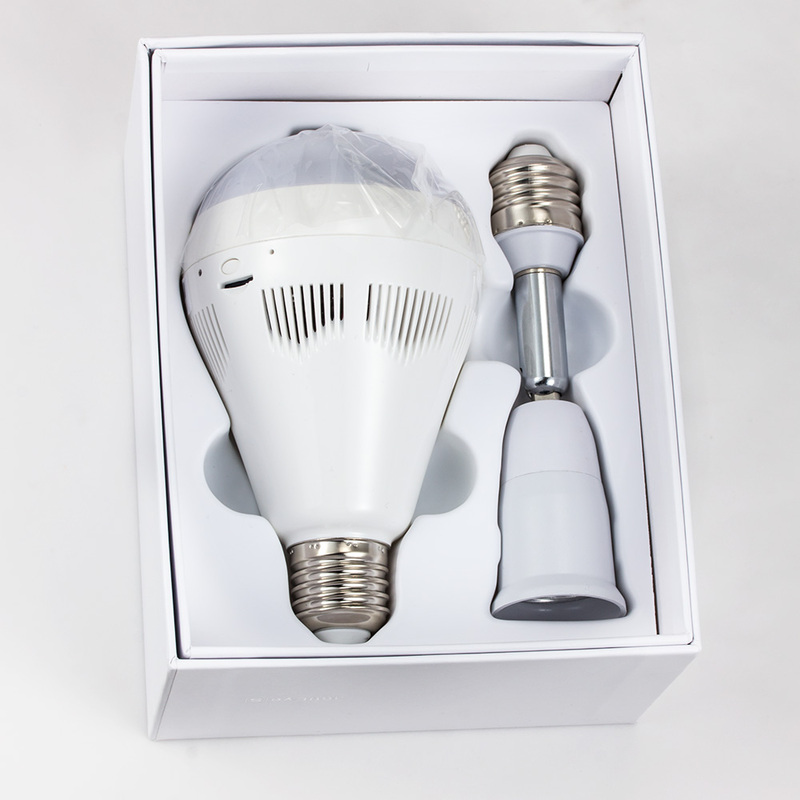 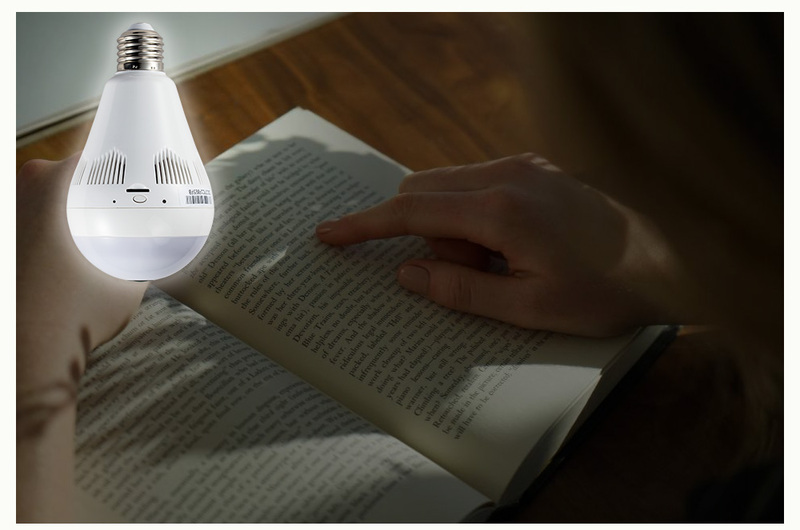 3,Real plug and play:Put the camera to bulb light holder,then connect it to your wifi network through mobile APP	4,Multi View modes bring you 3D Vision Experience	5, 360degree monitoring,without any dead angle	6,Free wire,easy to install,widely used in baby room,living room.,etc	7,Intergrated with LED illumination,Over 50,000 hours lifetime for LED light	8,Two Way Audio,Instant chat between APP and Camera	9,Video footage Storage,Support max 128GB micro SD Card for recording. 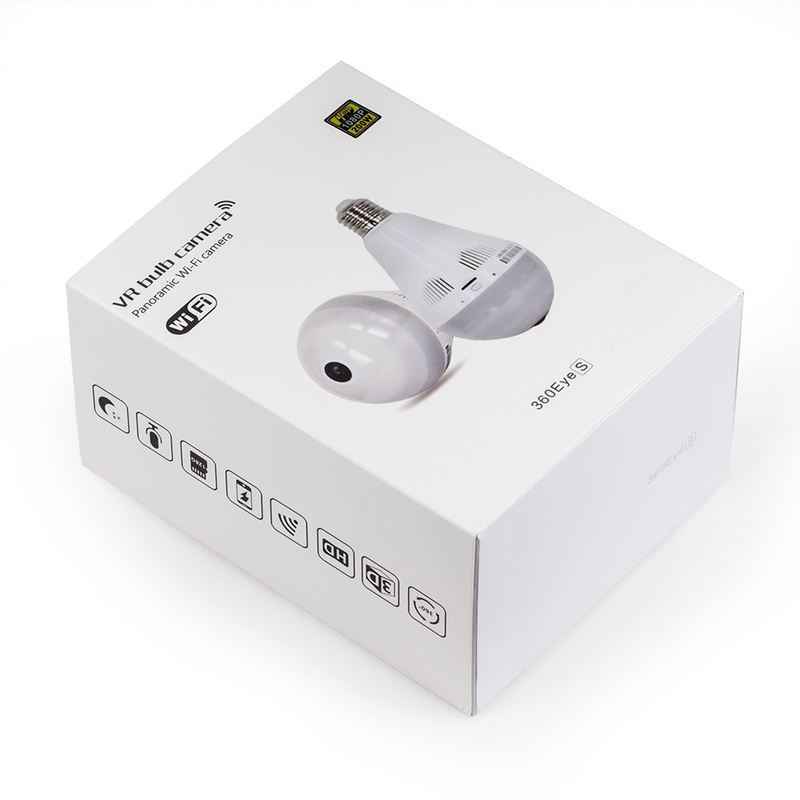 (SD Card is not included in the package)	10,Your Home Security Guard	You can’t always watch your home when outside,The camera will look it for you and send alarm alert to your app when motion is detected (you just need turn on the alarm function and login APP)	11,Quick installation	Just screw it into the bulb light holder.